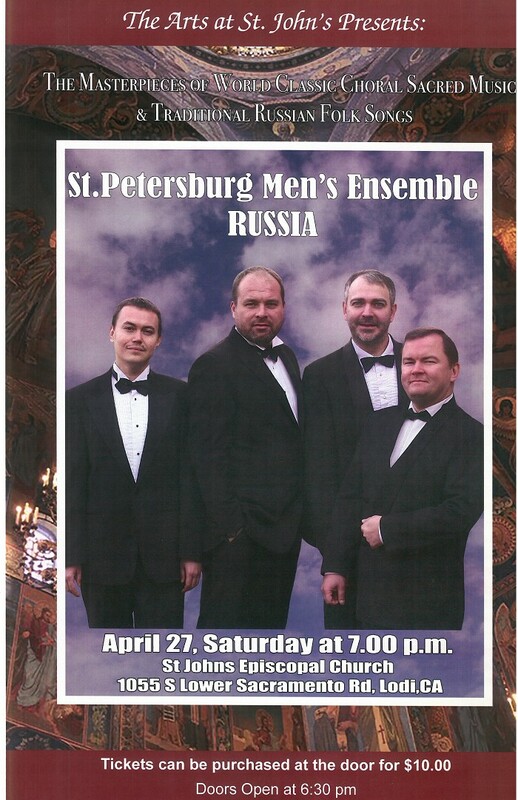 The St. Petersburg Men's Ensemble is an a cappella quartet founded in 2003 which includes the talents of Kirll Sokolov, Sergey Shapinskiy, Vadim Smantser and Andrei Volikov. The group's repertoire encompasses various periods and styles from ancient Russian chants and chorals of Western European masters, to modern, contemporary musical techniques. Copyright © 2019 The Episcopal Church of St. John the Baptist. All Rights Reserved.